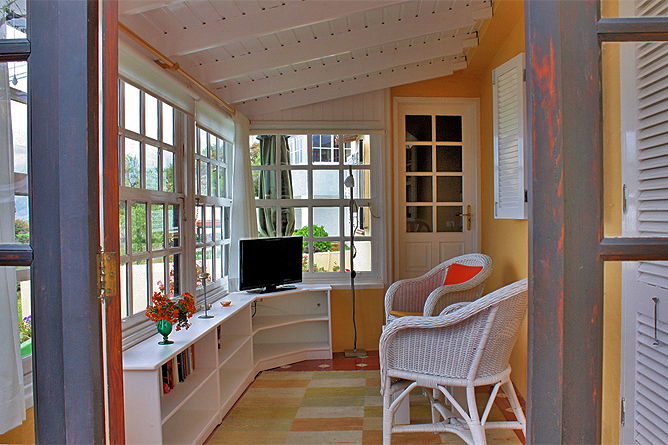 Casa Viña is a small, charming Holiday House in a quiet, rural setting in El Paraiso, a district of El Paso. 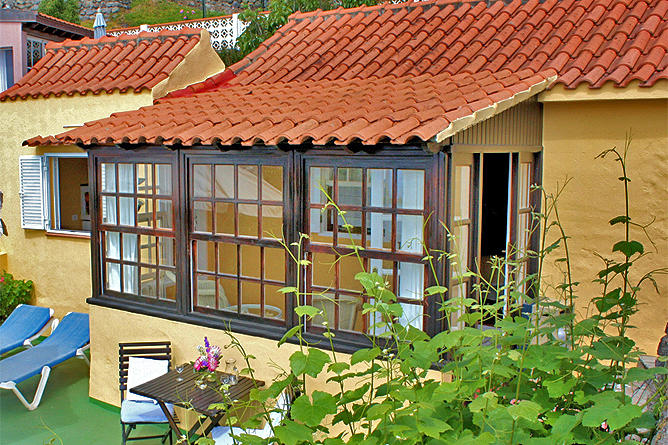 The Holiday House is part of the small Finca Alcalá, that comprises 4 separate small houses. 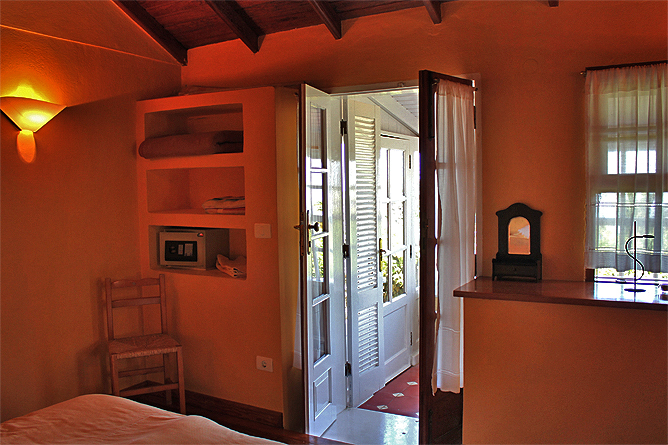 The Finca is perfect for those seeking relaxation and an authentic atmosphere. 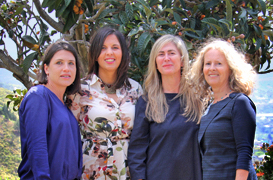 In 2014 the Holiday Finca has been repeatedly rated with 5,7 from 6,0 points at Holiday Check. The German landlady manages the place for almost 30 years with great personal commitment. The four detached Canary-style houses are situated on different levels nestled in a lovingly tended, subtropical garden. 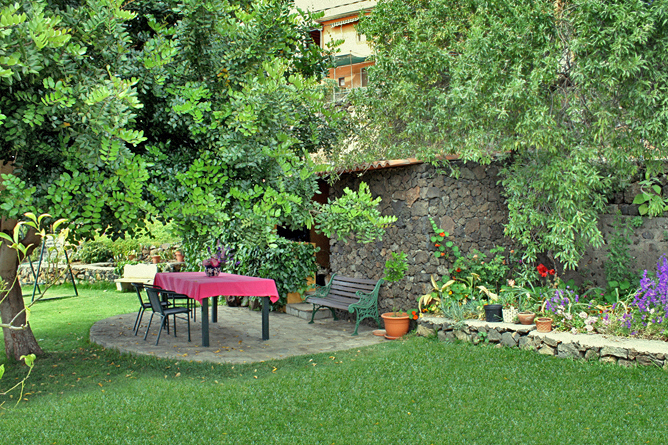 Each House has been tastefully furnished, decorated by the landlady and featuring a private outdoor area with a terrace, loungers and a sun umbrella. The terrace offers a gorgeous view of the mountains, the sea and the pristine and sparsely populated surrounding. 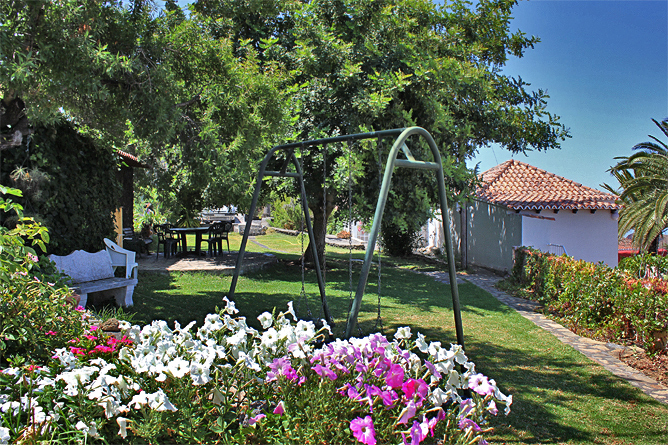 In addition to the private terraces of the Holiday Houses there is a shared garden area with seating corners, barbecue with an outdoor kitchen and a playground for children. The bedroom has a double bed (2 adjacent single beds) as well as a Canary wood gable roof, that creates a pleasant room atmosphere. 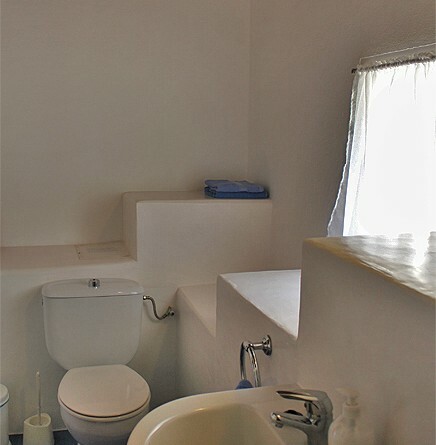 The en-suite bathroom has a shower and a toilet. The bedroom provides access to a small winter garden. It is a perfect place to sit in your rattan chair and enjoy the natural surrounding. There are electric radiators available for cool winter evenings. The separate kitchen has a dining table and 2 chairs. 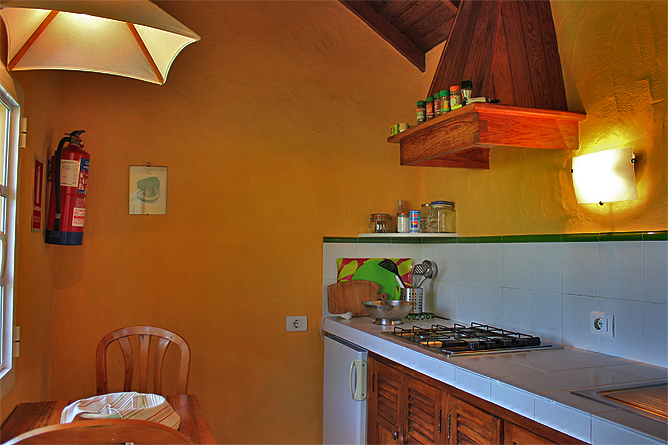 The kitchenette is well equipped with a gas stove, a coffee maker, a toaster and a small fridge-freezer. 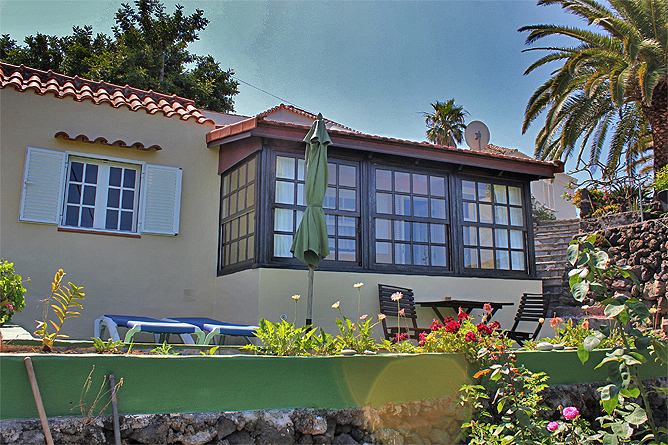 Enjoy the front terrace with a table and 2 chairs as well as an area for 2 sun loungers. The area a great starting point for beautiful hiking tours, like the one leading through the bizarre lava landscape of the Volcano San Juan. There is also the protection area of the Caldera and some other beautiful hiking areas that are within easy reach from the Holiday Finca. 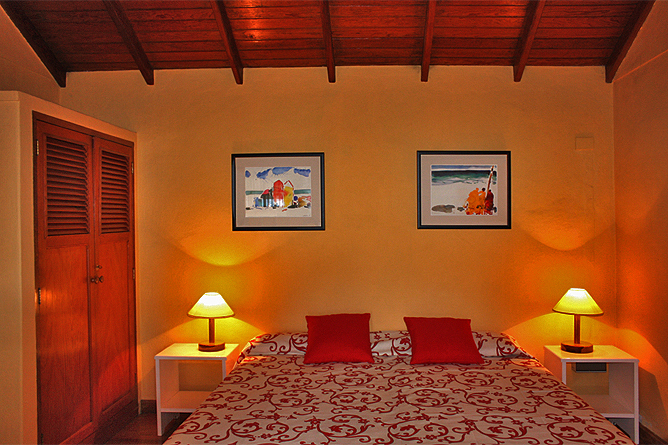 The palm-lined sandy beach of Puerto Naos is within 15 driving minutes. The newly built beach promenade invites to stroll along. If you continue south you reach another beautiful sandy beach, the cove of Charco Verde. The coastal road ends in El Remo - still a very original fishing village on the coast. It is a perfect place to enjoy freshly caught fish in a seafront restaurant. Los Llanos y El Paso, the two larger towns of the west side are located within 10 driving minutes. There you find some large supermarkets, many good restaurants and a small shopping mile. 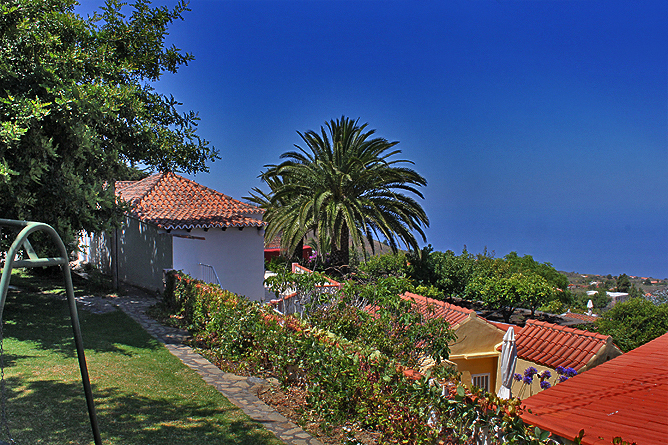 Due to the location of Finca Alcalá off the main roads, we highly recommend a rental car. Small, charming Holiday House in Rural Setting.